MOJAVE, Calif. – Oct. 3, 2014 – A decade after winning the Ansari XPRIZE with one of the most innovative vehicles ever flown, the employees of Scaled Composites, a Northrop Grumman (NYSE:NOC) subsidiary, continue to push the boundaries of aviation and the emerging commercial space industry. The Ansari XPRIZE spaceflight competition challenged aerospace enthusiasts from around the world to build a reliable, reusable, privately-financed, manned spaceship capable of carrying three people 62 miles (100 kilometers) above the Earth's surface twice within two weeks. Twenty-six teams from seven countries competed for the prize, investing more than $100 million in aggregate for research and development. 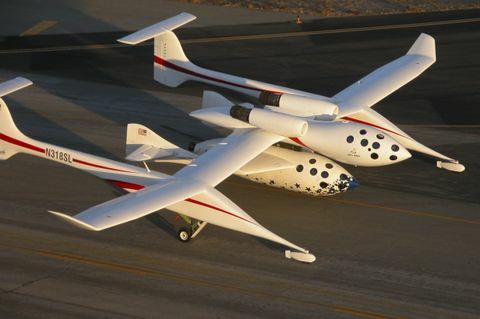 On Oct. 4, 2004, in a feat that remains unmatched, Scaled Composites used its White Knight aircraft and SpaceShipOne suborbital rocket plane to claim the $10 million prize and make aviation history. Continuing to build on this success, Northrop Grumman, Scaled Composites and Virgin Galactic are currently developing a preliminary design and flight demonstration plan for the Defense Advanced Research Projects Agency's (DARPA) experimental spaceplane program XS-1, which will enable new generations of lower cost, innovative and more resilient spacecraft. To commemorate the anniversary milestone, XPRIZE Chairman and CEO Dr. Peter H. Diamandis will moderate a Google Hangout with the world's top visionaries to discuss the future of private spaceflight. 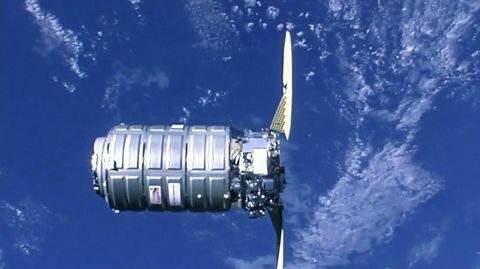 "The $10 million Ansari XPRIZE was modeled on the $25,000 Orteig Prize, won by Charles Lindbergh in 1927," said Diamandis. 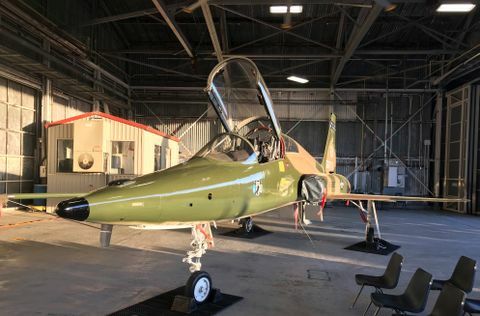 "Lindbergh's plane was built by Ryan Aircraft, a future Northrop Grumman company, and SpaceShipOne, winner of the Ansari XPRIZE, was built by Scaled Composites, another Northrop Grumman company. So, incentivizing historic achievement through prizes is a proud bond that XPRIZE has shared with Northrop Grumman for almost a century." "The achievements by Scaled Composites from 10 years ago are still transforming how private space travel is being approached," said Anousheh Ansari, CEO and co-founder of Prodea Systems, who sponsored the prize. "We are reaching a tipping point in private space travel where we will start to see more pioneers innovate for the advancement in private space exploration." The pilots flew SpaceShipOne, the air-launched spaceplane built by a team led by aviation pioneer and Scaled Composites founder Burt Rutan with financial backing from Paul Allen. 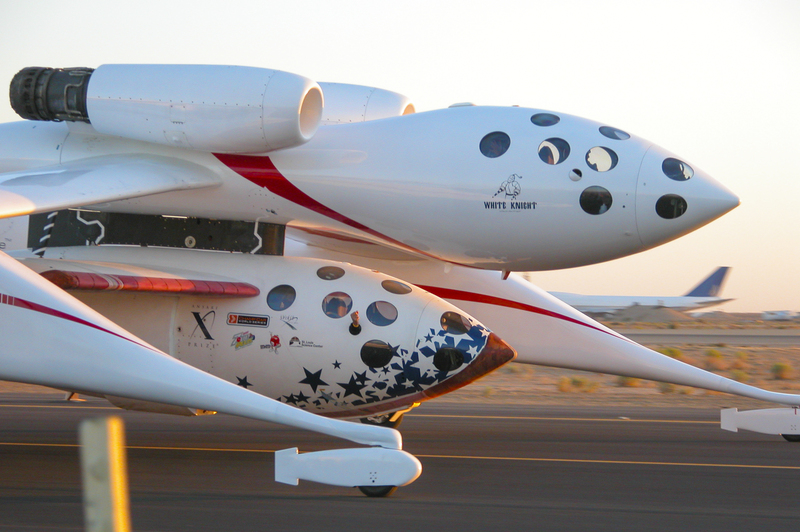 SpaceShipOne is the precursor to Virgin Galactic-owned SpaceShipTwo, the world's only commercial spaceline. "Scaled was and continues to be at the forefront of the exciting private spaceflight industry, said Kevin Mickey, president, Scaled Composites. "We continue to innovate and create in the market space that will be a part of our company strategy for years into the future."